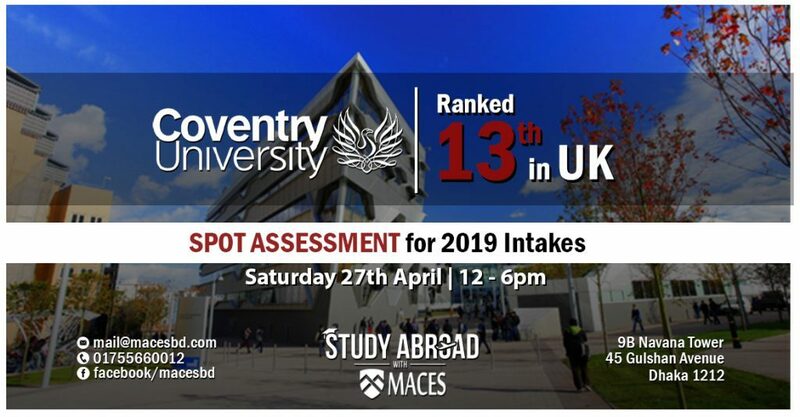 MACES is Bangladesh’s leading study abroad consultant working with more than 180 universities in the UK, USA, Canada, Japan, Malaysia and Australia. We pride ourselves for making a difference in the lives of our students through honest and innovative guidance counselling. We strive to be the best Study Abroad Consultants by providing a service to students that is free and unrivaled by any other agency in the Country. Get in touch with us to find out how we can help you in your search for the best higher study option for you. Come to our office and you will know. Our solutions for you are personal to you.